-- Redefining who we are in our family takes courage and an indestructible sense of humor. Being the middle child is never easy, but thirty-six-year-old Jill Bendel is about to find out just how hard that job is when her mother throws away her sensible pumps, packs up her collection of classical music and runs away from home. Longtime wife and mother Ruth Bendel loves her family but hates her life. Husband Richard doesn't even know how the steam iron works, let alone how a woman works. 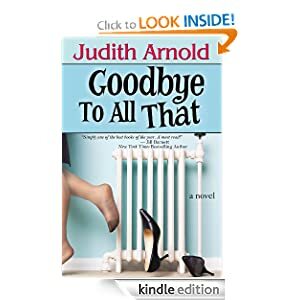 When Ruth's last nerve snaps, she finally does what she's wanted to do so many times before - she gets an apartment, a job, a new life and new friends. How will her pampered family survive ? Who will take care of her son Doug's daughters when he flies off for a romantic week with his wife? How can youngest daughter Melissa contemplate getting pregnant now that she's the child of a broken home? How is Jill going to juggle the demands of her own marriage, her kids, her siblings and her career while simultaneously trying to get her parents to reconcile? Why is it that when things fall apart, everyone expects Jill to put them back together? Maybe she ought to run away from home, too. Goodbye To All That or to sample this book for FREE! -- Set sail for a daring pirate adventure like no other. Can a cherry cupcake, a French bread and a flaky croissant battle a crew of assorted pie-rits? Children will delight in the humor, word play, and action of this rhyming pirate adventure that will keep readers laughing from beginning to end. Pirates have never been so deliciously nasty. 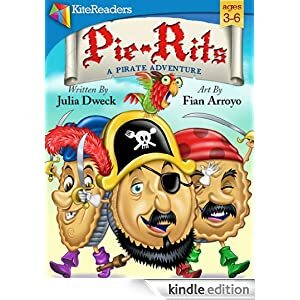 Pie-Rits: A Pirate Adventure or to sample this book for FREE! -- The first Dr Stephen Dunbar thriller. When seven-year-old Amanda Chapman is admitted to hospital with acute renal failure, her parents are in despair. Their hope is renewed when Amanda is accepted for treatment in a pioneering, state-of-the-art dialysis unit in an exclusive private hospital in Glasgow, but behind the lavish hospital corridors, private rooms and friendly staff lies something much more sinister. 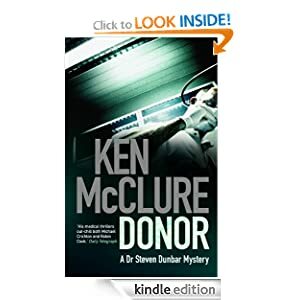 Dr Dunbar goes undercover to find out in the first of Ken McClure's gripping thrillers featuring the ex-Special Forces medic. Donor or to sample this book for FREE! -- Sixteen-year-old Riley Williams has been able to see ghosts since the car crash that took her mother's life and shattered her family. Guilt-ridden over the belief that she's somehow responsible for her mom's death, Riley is desperate to see her mother's elusive spirit to gain her forgiveness. When her father moves the family to Scotland so they can all start over, Riley believes her life couldn't get worse -- that is until the ghost of nineteen-year-old Ian MacKinnon catches her purposely cutting herself. An uneasy truce quickly turns into friendship, and soon Riley's falling hard for Ian. Riley believes her gift could help Ian end the curse that has kept him tied to the land for centuries, but that would mean letting him go forever and she's not sure she is strong enough to do that. As if her life wasn't complicated enough, the malevolent spirit of the woman who killed Ian returns and she'll stop at nothing to keep Riley from helping Ian find eternal peace. 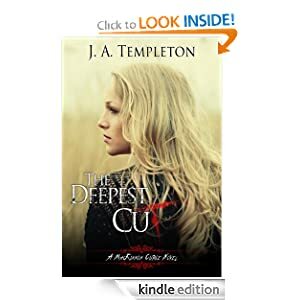 NOTE - THE DEEPEST CUT is a mature YA paranormal romance. Due to strong language, mention of cutting, alcohol and drug use, it is not recommended for younger teens. The Deepest Cut or to sample this book for FREE!